2.Documents converted to .......... can be published to the Web. 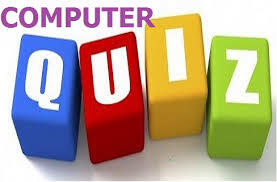 3.What is the difference between a CD-ROM and a CD-RW? 5.For running WINDOW minimum disk free space required is? 6.Which of the following printers generates character from a grid? 7.In MS-Word 'alt + shift + d' does what? 8.What does 'ctrl +esc' do?